Kesang Tseten’s documentaries have regularly screened in Nepal and in international film festivals including the International Documentary Film Festival of Amsterdam, Leipzig International Documentary Festival, Yamagata, Thessaloniki, Krakow, Viennale, the Margaret Mead Film festival. We Homes Chaps, On the road with the red god: Machhendranath, We Corner People, Who will be a Gurkha and his trilogy of films on Nepali migrant workers in the Gulf have won wide recognition. Men at Work, part of a South Asian Masculinities project, and Castaway Man, part of a South Asian Project on justice, followed. His most recent films are Hospital and Trembling Mountain, which premiered at IDFA and was awarded the Net Pac Award at the Ulju Mountain Film Festival in Korea and 2nd Prize in the International Category of Kimff. Tseten has been recipient of grants from Busan, IDFA and the Sundance Institute for his films. 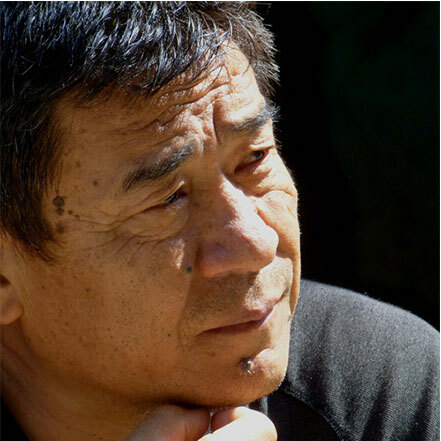 He wrote the original screenplay for the feature Mukundo, which was awarded Best Script by Nepal Motion Pictures and was Nepal’s entry to the foreign film category of the academy awards, and KARMA. Before filmmaking Tseten wrote and edited and was associate editor of Himal Magazine in its early years. He is a graduate of Dr Graham’s School in India and Amherst College and Columbia University in the US.